Hiking, Fishing, Hunting, Survival, Military, Foreign Travel, tc. 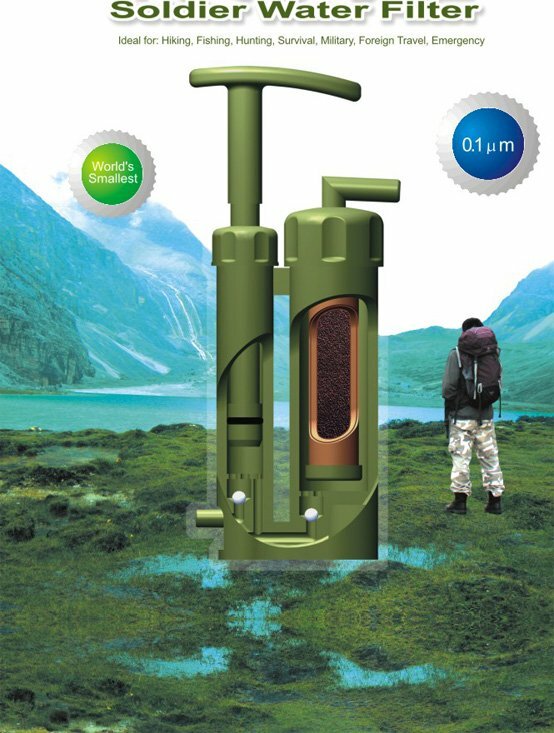 Turns rain, lake, and river water into drinkable water immediately! 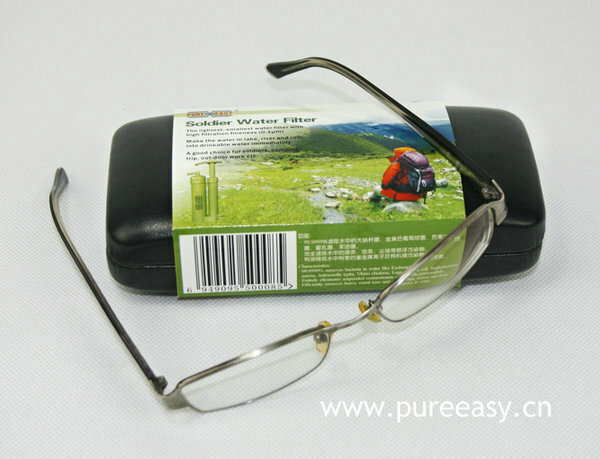 · Smallest: can be held in glasses box. · Lightest: less than 90g. · Environment friendly: cleanable filter cartridge. 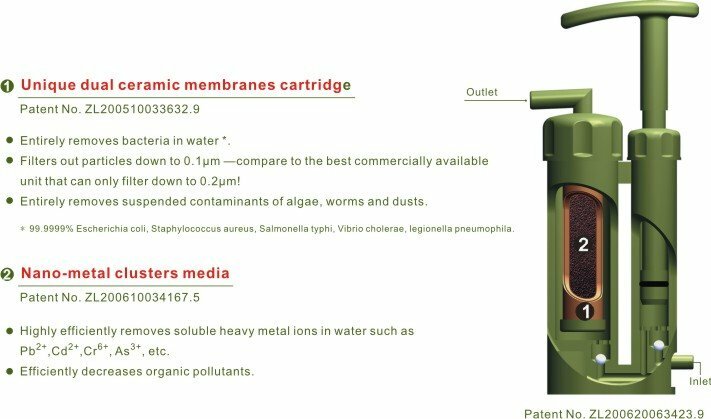 · High filtration fineness: unique dual ceramic membranes cartridge with mean pore size of 0.1 micron. 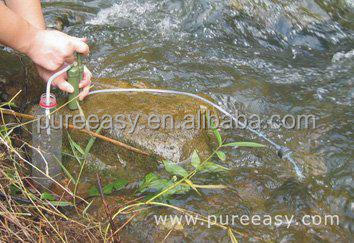 1) Place input hose in untreated water source (river, lake and rain, etc. ). 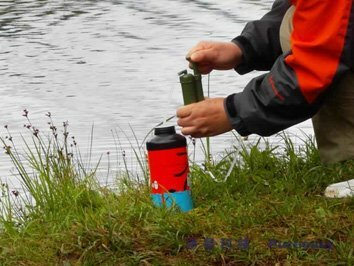 Adjust float to keep prefilter off the bottom and away from sediment. 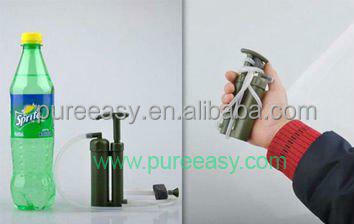 3) Hold the filter vertically and begin pumping the handle in a slow, steady manner. 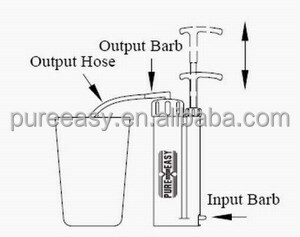 5) Wrap input hose and output hose around housing. 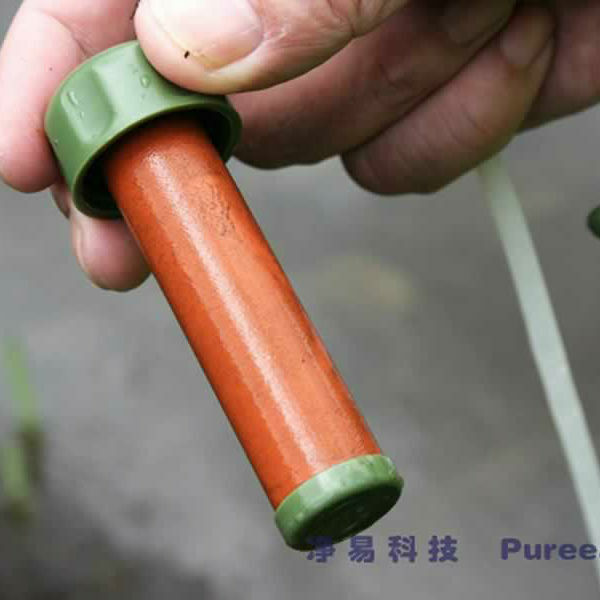 Store filter inside the box (bag). 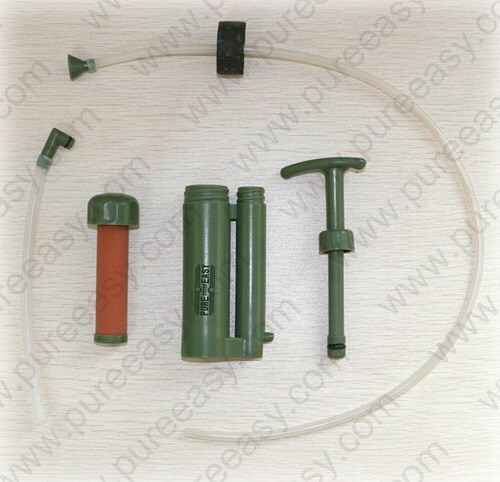 Pureeasy is the 100% orginal manufacturer with patented technology. 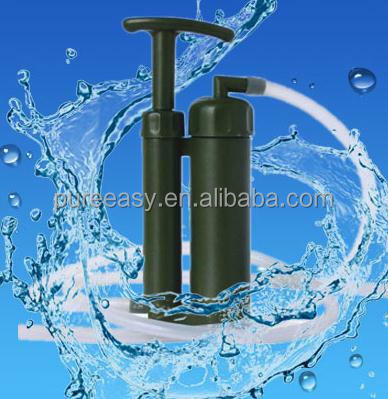 Any inquiry or question about water filter, please feel free to email to william(pureeasy), he will try his best to reply to you in the shortest time.